Chocolate Insiprations By Rach - Heanor, Derbyshire. I love reviewing and helping to promote local businesses. When my old work friend Rachel started making and selling chocolates, I was more than happy to blog about them! 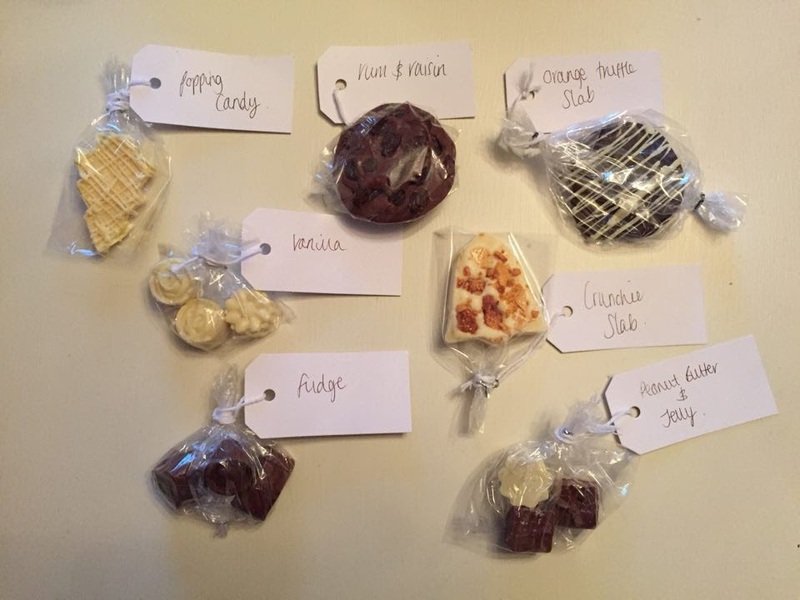 Rach kindly put together a goodie bag for me with a selection of her creations. They all looked great and I couldn't wait to dig in! 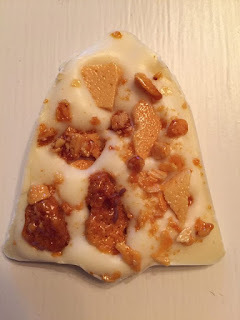 Crunchie Slab - I chose this one first as I love honeycomb and white chocolate. It was win, win. I must say that I'm quite a fan of this whole chocolate slab/ bark kind of thing. A bit block of chocolate, what could be better!? 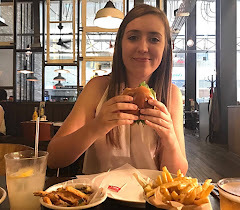 On the first bite you get that crunch shortly followed by the gooey caramelisation which clings to your teeth (in a good way if that's possible). The white chocolate is lovely and melts in the mouth. A really nice treat. Popping Candy - Again a big chunky bit of white chocolate in a very festive Christmas tree shape. I've had many things advertised with popping candy inside but always been rather disappointed at the lack of 'pop'. This however, was full of the stuff. Just what I was looking for! Vanilla - Lovely bite-sized white chocolate truffles with a lusciously soft centre. A subtle hint of vanilla, not too much but you can taste it. I'm very impressed so far. Orange Truffle Slab - Rich dark chocolate truffle with a soft orange creme centre. These flavours went together really well. I'm not usually a fan of dark chocolate but quite liked this as the orange flavour seemed to tone down the richness. Fudge - Individual soft fudge pieces coated in a thick milk chocolate. 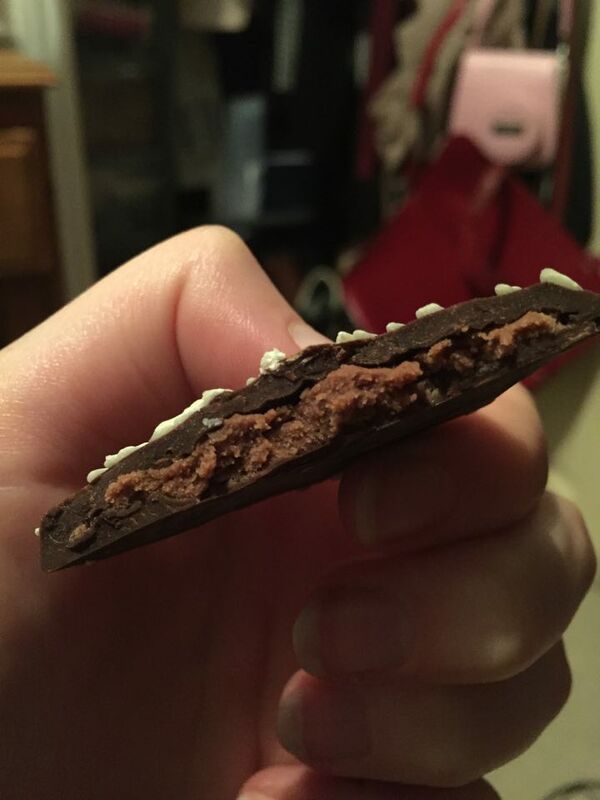 The combination of the bite of the chocolate, the smoothness of the fudge and then the melting of the chocolate tasted amazing. The fudge was also a little gritty which I like in a fudge. Personal preference. Rum & Raisin - Another dark chocolate slab but this time a flavour I wasn't so sure of. Upon opening the packaging, you're greeted by the smell of the run instantly. This chocolate had a much softer texture than the others which I presume is due to the liquid being added. Not my favourite, but can see why it would be for others. Really strong in flavour and the chewy raisins add that little extra. 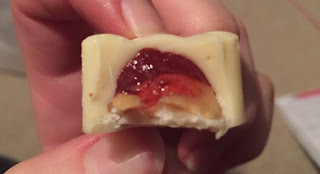 Peanut Butter & Jelly - A selection of both white and milk casings filled with jam and smooth peanut butter. A half and half mix of both makes a great combination of sweet and savoury. Something a little different! Chocolate Insiprations by Rach make a great gift. When you place an order, you can chose to either collect or have them delivered. You could even surprise someone by sending them straight to their door. They are usually ready within a week and Rach even takes flavour requests to make it that little bit more personal. She has just started taking Valentines Day orders too, so get them in! There's a wide variety on offer from from truffles to hampers and even hot chocolate stir sticks too. Let me know whether you place an order and tell me what you've had!